In my career as a marketer, I have attended more events and conferences than I can count. Events (especially those that span multiple days) are filled with so much information and it can quickly become overwhelming. By the second day you may feel that your brain is bulging with new information and you can’t possibly retain what you’ve learned. Early on when I started working for TopRank Marketing, our CEO Lee Odden gave me a crash course on making the most of attending an event. His experience attending and speaking at events was an incredibly valuable resource for someone like me that wanted to take advantage of the awesome opportunity to attend events. Below you’ll find some of my top tips for nailing event attendance whether you’re going with a team or flying solo. Hopefully the insights that I’ve been able to provide based on my own experience can help you get the most out of any marketing event you attend, large or small. I can’t tell you how many times I’ve met someone on the plane that is attending the same conference that I am. One of the questions I always ask is which sessions they’re most excited about attending. More often than not, they haven’t even looked at the event schedule and have no idea which sessions they’ll spend their time in. If you don’t plan your sessions out beforehand you may miss out on some stellar sessions. Also, you’ll often find that you may miss sessions you want to see if you haven’t mapped out your day and considered how long it will take you to get from one session to the next. Some events even encourage attendees to register for specific sentences prior to the event and if you don’t, the sessions may be full and you’ll miss out. Event days are long. To make sure that you get the most out of the experience, it’s important to pack the essentials for your trip. Between your laptop, your phone and any other devices you bring, you’ll use a lot of battery life at an event. I mean, A LOT. Make sure that you have all of your charging cords and some spare batteries packed and ready to go. Also, take advantage of the stops in your hotel room to charge your tech. Not all event rooms have charging stations and the last thing you want to do is inhibit your ability to capture information because your computer or phone dies. While many events offer apps for connecting with other attendees, be sure to pack extra business cards for those passing moments when it makes sense to swap information. The vast majority of events will share a hashtag for attendees to use on Twitter. The hashtag can typically be found on the conference website. Before the event, you can use the hashtag to let others know that you will be attending. Following and interacting on Twitter prior to the event is a great way to begin getting to know your fellow attendees. It’s also a great way to set up plans to meet people in-real-life that you’ve been connected to online for years. While you’re at the event, follow and use the hashtag to gain insights into sessions you can’t attend and share your POV. In order to get the most out of an event, it’s important to find “your people”. Most events offer a variety of networking opportunities during the day and in the evening. So instead of eating your lunch in a corner or snacking on pretzels in your room for dinner, make the steps to put yourself out there and connect with other marketers. One of the biggest benefits of attending a conference is making real-world connections with other people who have shared interests and struggles that you can learn from. If our team members are attending an event, you can bet that we will be taking advantage of the many content opportunities that exist in that setting. When many marketers are struggling to create a quantity of quality content, events can give your content a great boost. Live blogging sessions has become a staple of our event strategy and provides a multitude of benefits including sharing great insights with your online community that could not attend, coverage of sessions other attendees could not be present for and a chance to connect with the speakers whose sessions you covered. Events are also prime for co-creating video content with influencers and experts. In fact, if you plan and network appropriately you could capture enough video interviews to extend over several months. It can be tempting to grab the seat in the back of the room with extra space for all of your items. But DON’T! Instead, get there early and grab a seat in the front of the room. Often the speaker will be there early engaging with people in the front of the room so you can take the opportunity to introduce yourself to them and the other people around you.Also, if you plan on taking any photos for content you’re creating, sitting in the back won’t do you any favors! One of my most terrifying moments at a conference was the first time I stood up, walked to the mic and asked the speaker a question during the q&a portion of a session. While it might not be in your comfort zone, asking questions is another great way to get real answers to your top questions and connect with other attendees. If you didn’t have a chance to meet the speaker before their session, stick around after and introduce yourself. If you didn’t feel comfortable asking a question in front of the whole group, now is your time. Many speakers will also share their slides with you (if you ask nicely) which can be a fantastic resource for live blogging or taking information back to your team. If you are a fan of brand swag, visiting the exhibit hall is a no brainer. But, the hall also offers an opportunity to interact with potential partners, platforms and prospects. At some events, the exhibit hall can be overwhelming, so you may want to visit a few times to make sure that you see everything and everyone that makes sense for your business. Just know that many of the people working at booths are business development employees so they will try their hardest to show you the benefits of their product or service and sign you up for contact after the event. Be careful where you leave your business card because they will follow up post-event. If you take good notes during an event, don’t keep it to yourself! Find an informal or formal way to share a download of what you experienced with your team once you return home. Typically, our team will develop a presentation that pulls out the most important pieces of information for the rest of our teammates. Try to keep the focus on actionable insights that directly relate to your business. While it may take a little extra effort at first, you’ll quickly find that following these hacks will make you more efficient and improve your event experience. 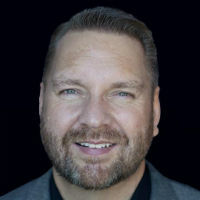 Lee Odden will be spending the next couple months traveling around the world to educate audiences on developing successful content and influencer marketing programs. If you’re events to attend, be sure to check out Lee’s sessions!